Reviewed by luxury travel pro Laura Brown! 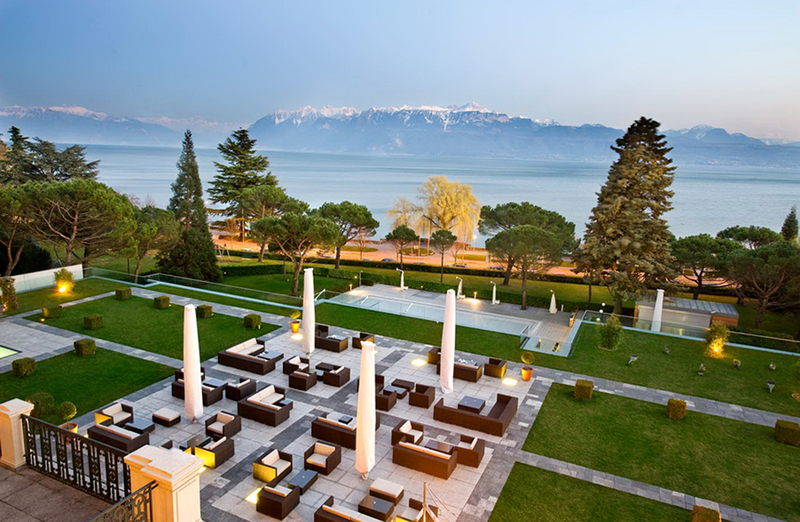 Montreux is meant for a wellness resort and spa: Clinique La Prairie. Castle as the gatekeeper of routes in long-gone days, cornered by the Unesco Lavaux vineyards and further along the Vallee de Joux, known for its traditional watchmaking ateliers, the region is a favourite haunt for famous folk. As I am so in awe by the architecture, I wonder to what I think is the front door, yet am entering the labyrinth of passages of the well-known clinic. I escape the clinic and try again, this time more focused on the signs instead of the aesthetic of the structure. 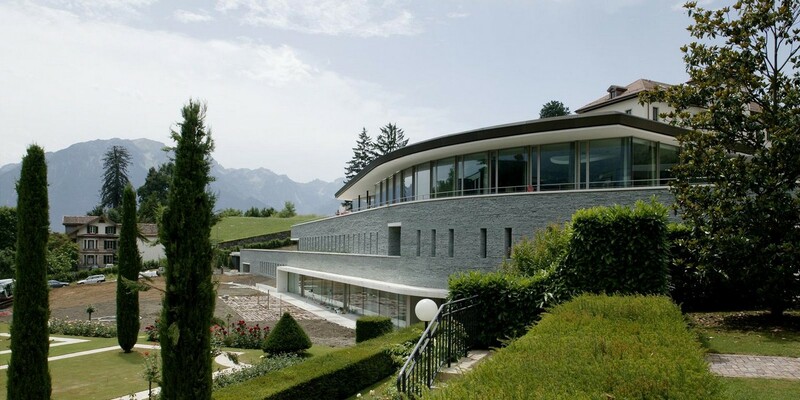 Behind the façade, the Clinique La Prairie programmes are organised visits planned and created by specialists, on the basis of preventative medicine. Being it Better Sleep, Rejuvenation, Master Detox and Rebalancing, all are based on the clinics holistic approach to healthcare, where each programme combines medical consultations with well-being and relaxation treatments. As I explore the facilities, I am in awe by the style and calming effect throughout. Even though the restaurant and spa offer a more modern feel, the hotel serves as a calming abode where creature comfort is as important as exquisite classy taste. The hotel rooms are compact yet elegant suites with 24-hour medical service at your disposal. The rooms are all decked out with features, which belong in a hospital yet hidden behind the charm of a chic hotel. All rooms face the lawns and overlook the lake; privacy is at its helm. Even separate elevators are located in the hallways of the hotel wing to accommodate in-house visitors. And both hotel staff and nurses are based nearby. 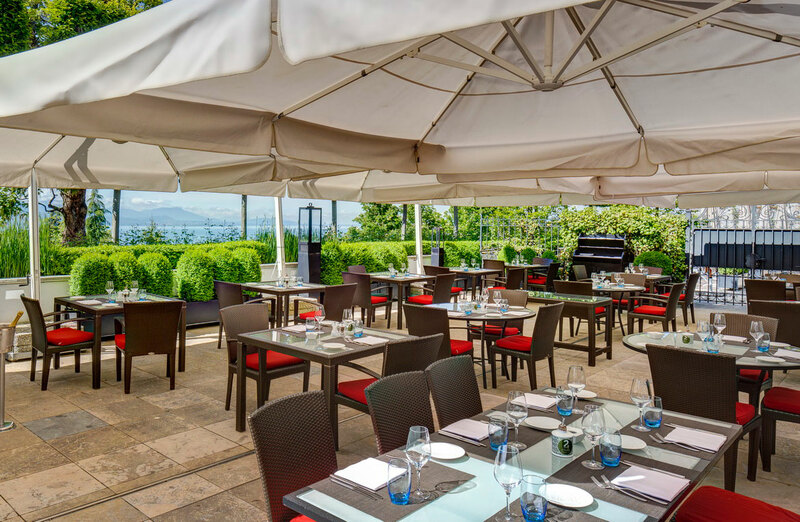 The centre breathes serenity, with mesmerizing views from the restaurant where the menu is completely undergone a similar rejuvenation as the clients – detox, gluten free and vegetarian options decorate the restaurant’s menu. vitamins and antioxidants and can be found throughout the facility. 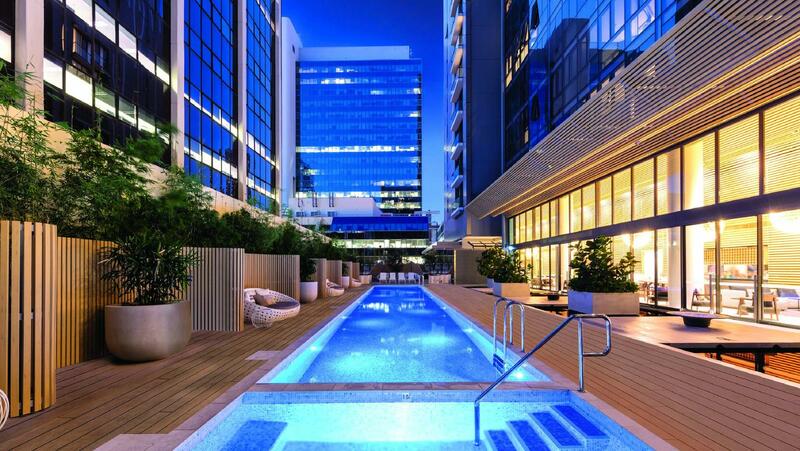 The spa is located in the lower level of the building, a futuristic feel comes over me as shimmery white hallways and peek-through walls invite to explore the several areas from indoor swimming pool to a state-of- the-art fitness centre. A dozen of secluded treatment rooms are located away from the waiting room and offer a calming and comfortable ambiance. 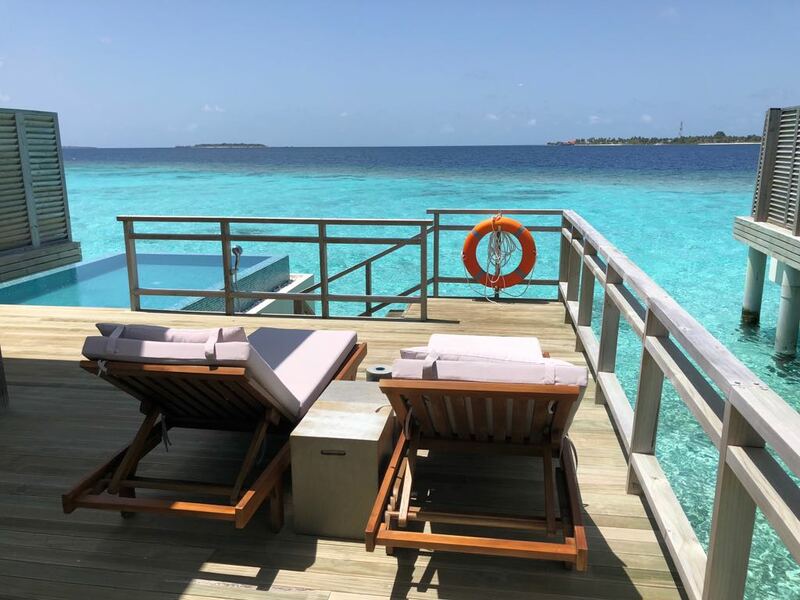 This is wellness on a whole different level and it does make it ever so easy to put all trust in the therapists’ programmes – feeling completely rejuvenated. The Swiss Canton of Vaud does not only offer a fairy-tale backdrop, it is blessed with a soothing summer climate and plenty of snow in winter. The Glacier3000 just opened its 9 th run, add tobogganing, snow-tubing cross-country skiing and even snow-shoeing for a full-fledged active winter destination. In summer the mountains are the scene for hikes, picnics, mountain biking, even train rides and most of all: mesmerizing views. The lake offers plenty of water sports or hop on the charming Belle Epoque steamboats for tours along the lake. The region is also home to some of the world’s prettiest palace hotels – offering an A-list of the world’s most highly acclaimed spas and wellness centres renowned for holding the secrets to ever-lasting beauty. Embrace the wintery charm of the Vaud region in this relaxed and earthy look. Ideal for a spot of lunch at the chic La Prairie Clinic followed by a stroll along the lake.